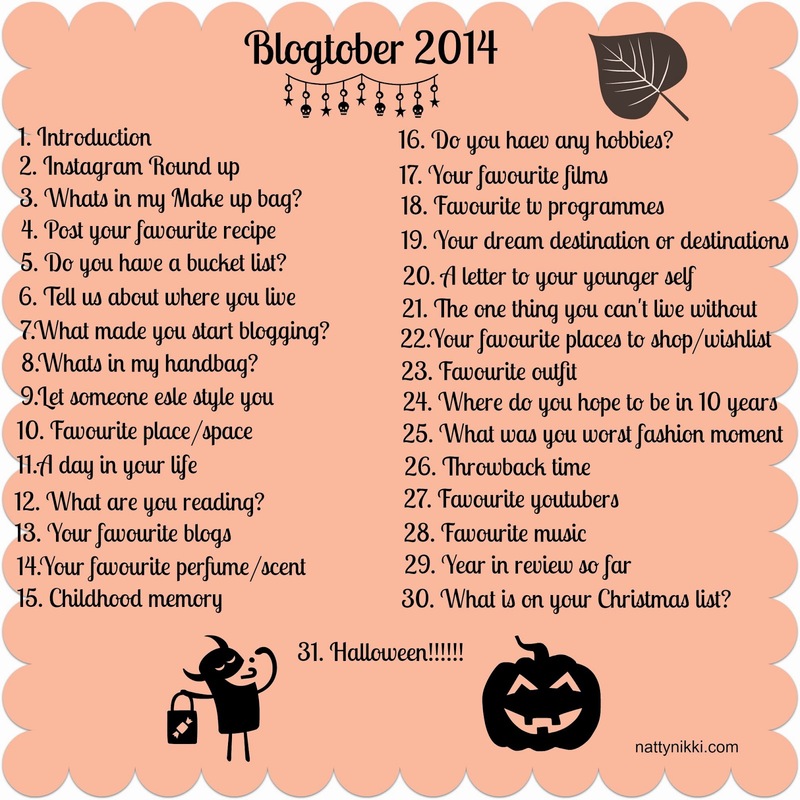 A Wheelbarrow Full of Style: Blogtober - Day 5 - Do you have a bucket list? Blogtober - Day 5 - Do you have a bucket list? No, I've never really though about it but the older I get the more I feel I should do one. I always worry about going through life and not having done all the things that I wanted to do. Maybe I will document some of them on video...hmmm!? 1. Do more stuff alone -eat alone in a restaurant, go travelling or go to the cinema. 2. Visit Australia with Mr C. There are lots of other countries on my list as well! 3. Learn to swim - Not the feeble little doggy paddle that I do at the moment. 4. Go stargazing - Up on a hill, sit on a blanket and stare at the sky, on my own or with Mr C (maybe!). 5. Get over my social awkwardness - I still get so nervous meeting/speaking to new people. I would love to have a bit more confidence. 6. Learn to knit/crochet - I have tried so many times but I'm determined to make something! Just a few ideas but I'm feeling inspired now!